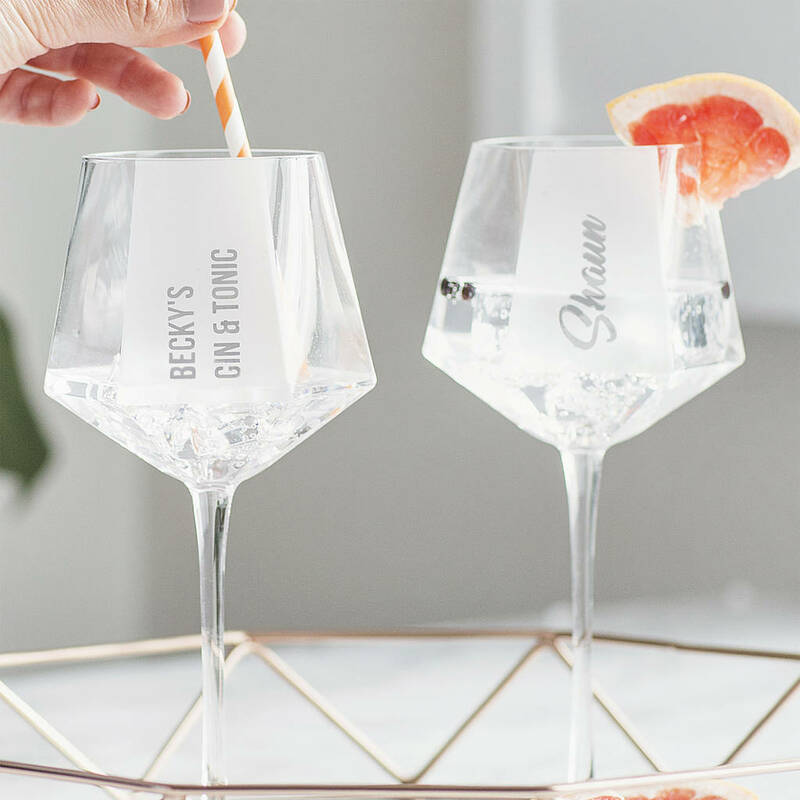 The design has been created using an inverse etching technique, creating a section of frosted glass. The text within the frosted section can be completely personalised. 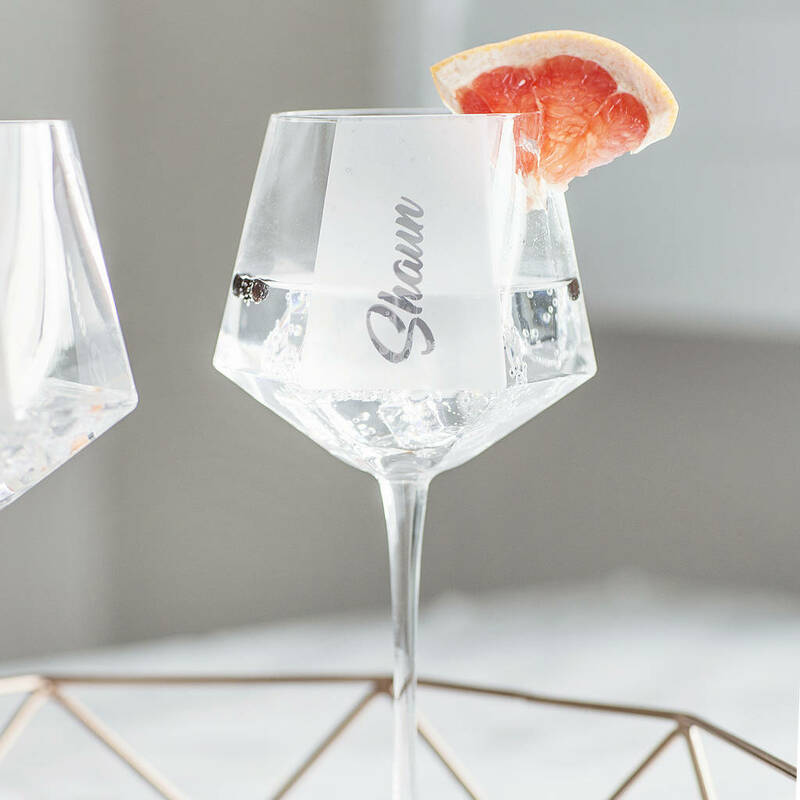 Personalise the goblet by selecting a font from the drop-down menu. You can choose to have your item gift wrapped by selecting an option from the drop down menu. 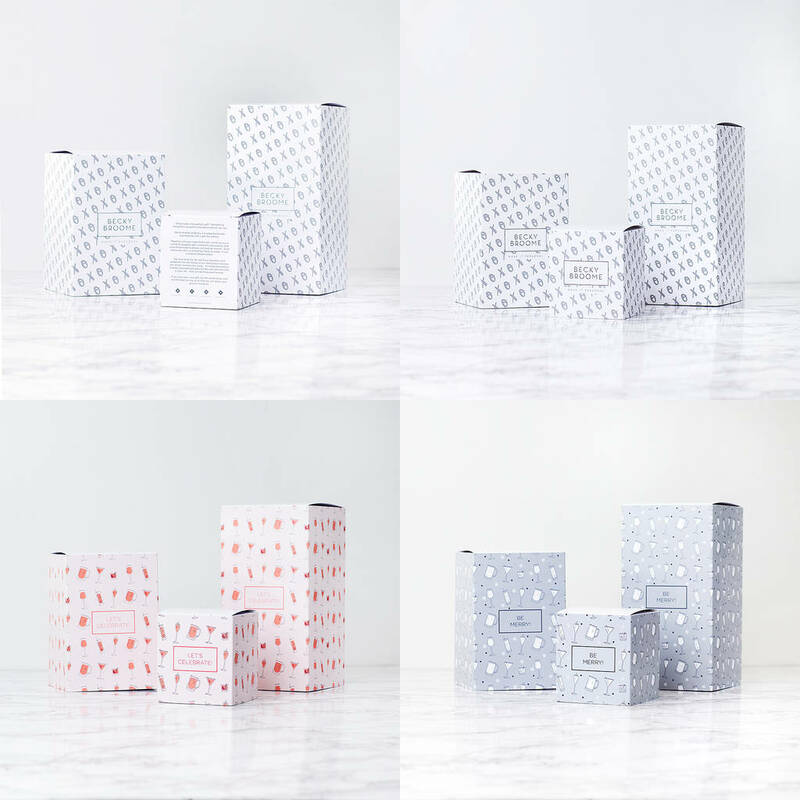 Choose between a plain white carton box, which you can wrap easily yourself or select a box with a printed gift sleeve. We have a 'Be Merry!' 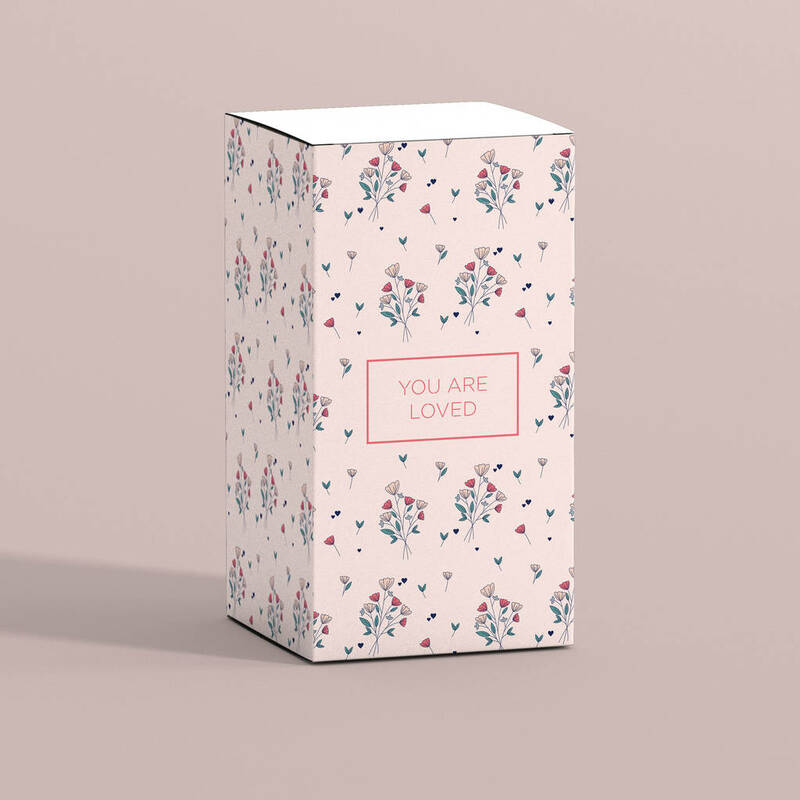 Christmas design, a 'Let's Celebrate' design and a Becky Broome branded gift sleeve. Please see the image gallery for examples. The hexagonal gin goblet is part of our new handmade collection. 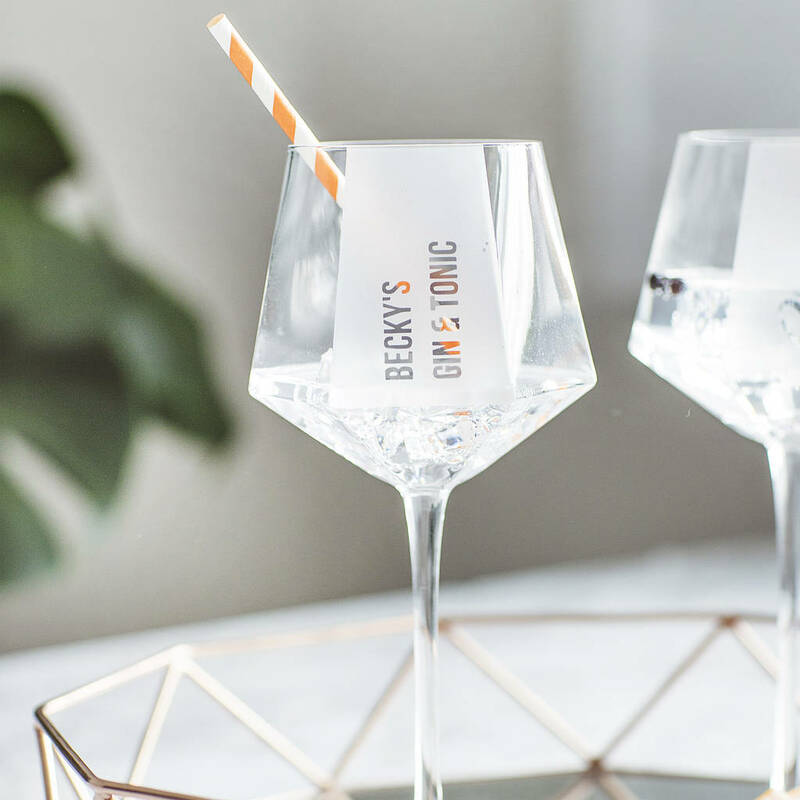 Each glass is unique as they are made by hand and as such are fine and lightweight. 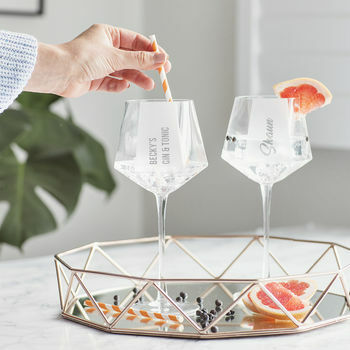 The geometric shape adds a modern twist to the gin glass, perfect for enjoying a gin and tonic whilst catching up with friends.